When shooting a corporate event or a charity event, it's important for any Los Angeles photographer to create a sense of place. For this event at Equinox West LA, a sense of space was created by shooting an image from a balcony overlooking the setup. 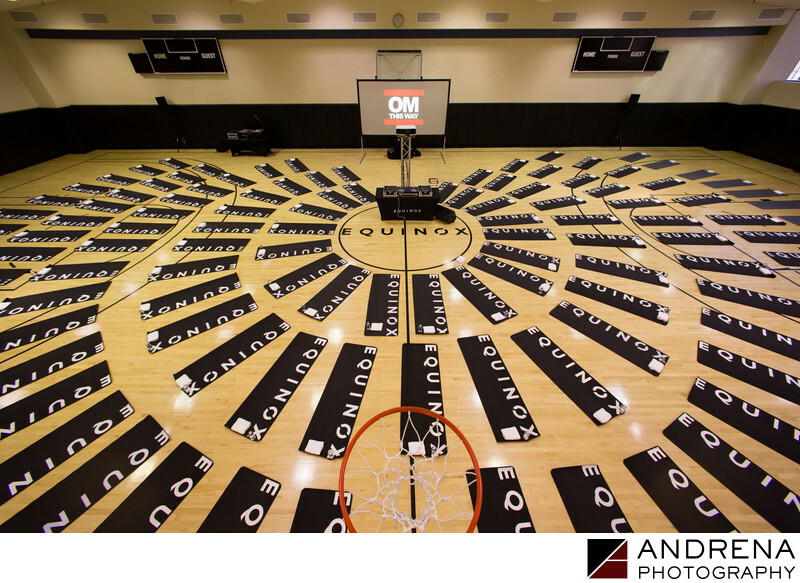 This event featured 150+ yoga mats, perfectly arranged to show off the Equinox logo. We had the company project the event name on the screen so it wouldn't just be a white square. And we took care to center ourselves as perfectly as possible above the basketball hoop that was blocking our full view. The end result is an image that proved helpful to Equinox and the charity organization that this event benefited.